Sys-Tek is now the exclusive sales agent for all of IDEC’s industrial control and factory automation products, serving customers throughout the UK and Ireland. Under Schiller’s leadership, the company will be 100% customer focused, overseeing the launch and marketing of new product introductions, sales channel business development and lead conversion. 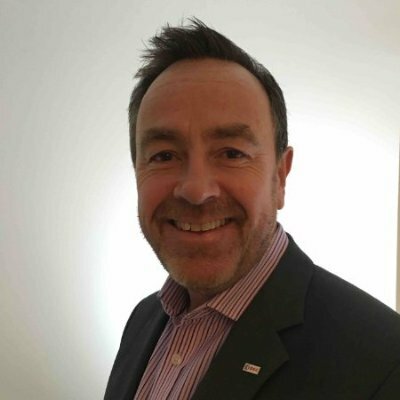 Using the unique Sys-Tek platform, Schiller will work with clients to identify specific needs and deliver appropriate solutions via existing sales channels that he set up for IDEC UK during his tenure as Managing Director of that company. In addition, Sys-Tek will provide a full technical and system integration support capability through the IDEC ISSIP (Solutions & Systems Integration Partner) programme, which Schiller rolled out in 2005. ISSIP offers an established, technically capable network of industrial automation software specialists and panel builders with all the expertise necessary to serve the needs of a broad range of industrial, commercial and agricultural end-users. Among the wide portfolio available through Sys-Tek is IDEC’s latest Micro Programmable Logic Controller (Micro PLC) innovation, the MicroSmart FC6A. 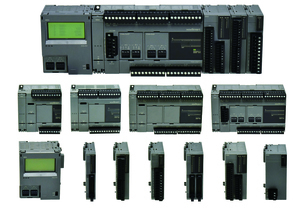 This compact and modular Micro PLC system can be structured according to the user’s requirements, thanks to a comprehensive range of modules that includes a separate human machine interface (HMI), a choice of CPU with I/O capacities of 16 (nine inputs and seven relay or transistor outputs), 24 (14 inputs, and ten relay or transistor outputs), and 40 (24 inputs, and 16 relay or transistor outputs), plus a host of expansion modules, including 17 digital I/O modules, eight types of analogue I/O module, two temperature control modules, four analogue cartridges and two communications (Modbus) cartridges. Analogue control capabilities extend to PID with auto-tuning, flow totalisation and recipe management functions. This generous complement of modules means that as many as 520 I/Os can be set up on this Micro PLC platform - for example, using the 40 I/O all-in-one type CPU module plus expansion interface modules and fifteen 32-point digital I/O modules. 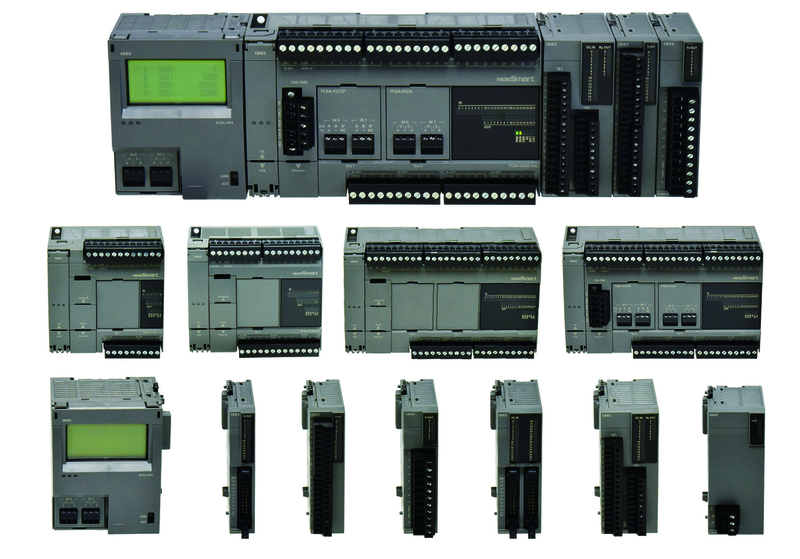 With a maximum instruction set capacity of 640kbyte (equivalent to some 80,000 steps) the FC6A is capable of executing complex machine control programs. And with a basic instruction processing time of just 42ns, the user can be confident of a truly fast response from this Micro PLC platform for the control of highly dynamic, synchronous machine functions such as precision multi-stage positioning, involving zero return, current and absolute value management, and JOG operation. A ‘Mini-B’ USB port is provided on all CPU platforms, allowing user programs to be downloaded or uploaded without having to supply power to the CPU module. A Secure Digital (SD) card port is also available with each CPU option, providing additional memory capacity for program storage and data logging. All models are equipped with a standard (RJ45) Ethernet port for remote monitoring and for serving a wide range of applications using Modbus communications. In common with all IDEC micro controller platforms, the new FC6A MicroSmart can be programmed via the company’s WindLDR ladder logic software, an icon-driven programming tool combining logic and intuition with an easy-to-use interface that allows the user to take full advantage of MicroSmart features. A built-in 'Simulation' mode enables the functionality of a ladder program to be tested and verified before it is downloaded to the Micro PLC platform. WindLDR also provides a status monitor function for communications as well as monitoring for errors or failures in the CPU and I/O expansion modules.